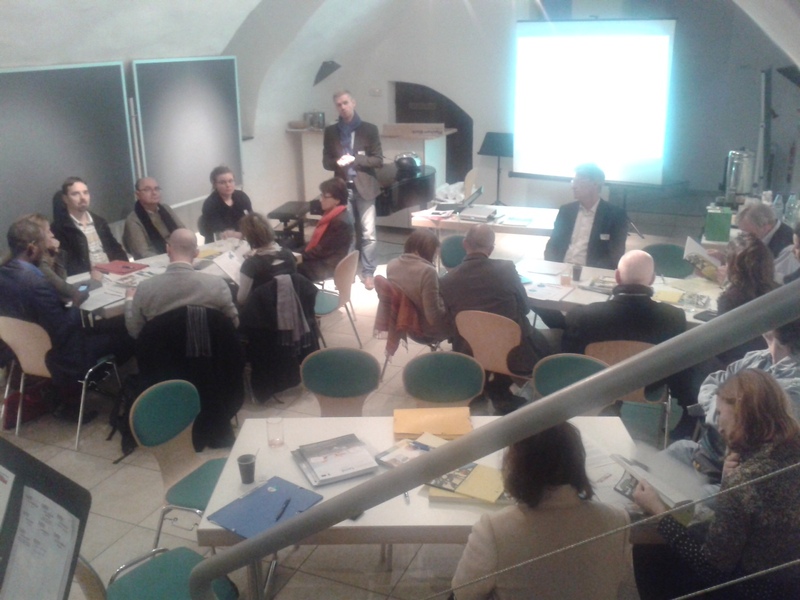 Last 10th of January I participated in the 3rd co-creating event organized by the Public Research Centre Henri Tudor to explore the question of Social Innovation in Luxembourg: what are the facts and what are the practical opportunities? I thank my friend and Social Innovation Expert, Luisa Ferreira, for putting me in touch with the Henri Tudor team and be able to be part of a process to co-design the best approach to develop Social Innovation in Luxembourg. 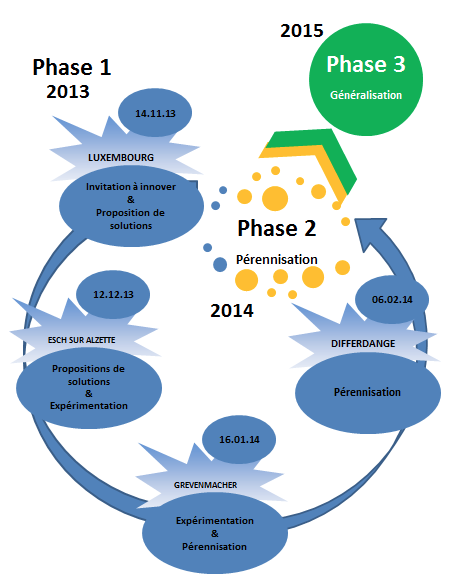 I am discovering how the Luxembourg Government is involving its citizens in the answers to key questions about the future and the next strategic decisions of the country. I will be sharing my experiences here n the next weeks. The process is being led by an amazing and motivated team, that is using the most innovative participatory approaches to make sure that the results of the discussions and the deliverables are co-created. being open in the invitations, and getting PEOPLE with different background bringing new perspectives and ideas to the table. It is really amazing how citizens and organizations from different sectors are motivated by the idea of participating in the process and the event was a complete success. well thought design of the PROCESS : the whole approach is based on the process of social innovation National Endowment for Science, Technology & the Arts ( Nesta), includes six steps that can intermingle , combine real-time view of societal challenges of Luxembourg. I have written about this process in a number of posts and I think it is really powerful. A great and experience FACILITATION of the process, led by Bertrand Meunier. His motivation and bright way to lead the process and the event was key to its success. I also want to thank him for his invitation and feel privileged to be in touch with him. The first phase began with a process of collective co- creation through meetings and exchanges , called Thursday for social innovation . – February 6, 2014 . Guadalupe de la Mata en Buscando conexiones entre la Felicidad y la Innovación Social.